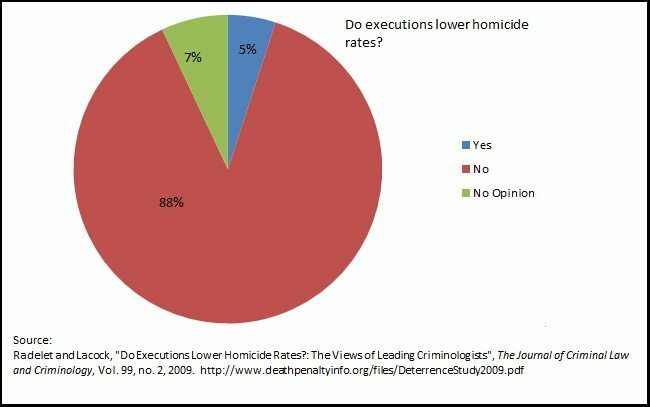 In April 2012, The National Research Council concluded that studies claiming that the death penalty affects murder rates were “fundamentally flawed” because they did not consider the effects of noncapital punishments and used “incomplete or implausible models.” A 2009 survey of criminologists revealed that over 88% believed the death penalty was NOT a deterrent to murder. 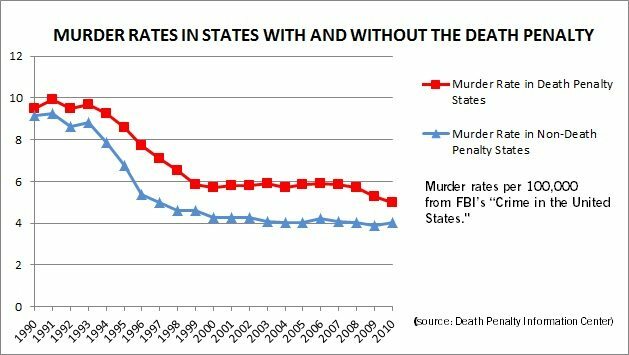 The murder rate in non-Death Penalty states has remained consistently lower than the rate in States with the Death Penalty. The threat of execution at some future date is unlikely to enter the minds of those acting under the influence of drugs and/or alcohol, those who are in the grip of fear or rage, those who are panicking while committing another crime (such as a robbery), or those who suffer from mental illness or mental retardation and do not fully understand the gravity of their crime.